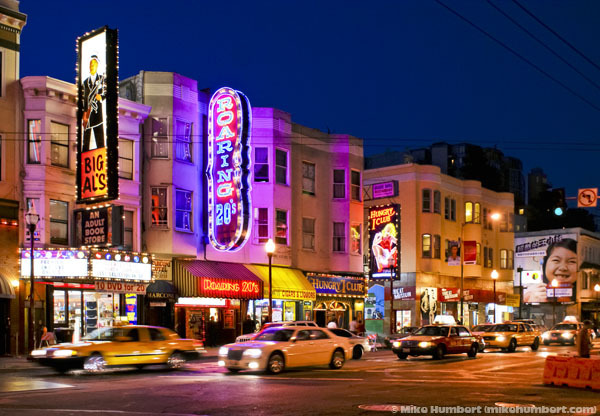 Also known as Little Italy (even as it becomes ever more Chinese), North Beach isn’t near any beaches, but rather has been the longtime home to artists, poets, and bohemians in general. 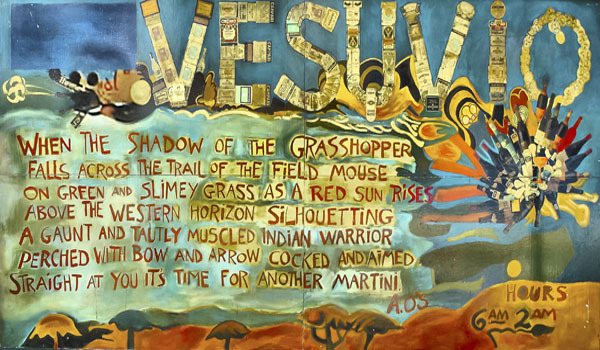 The Beat movement (led by Lawrence Ferlinghetti, Jack Kerouac, and Allen Ginsberg) was born in this very neighborhood. 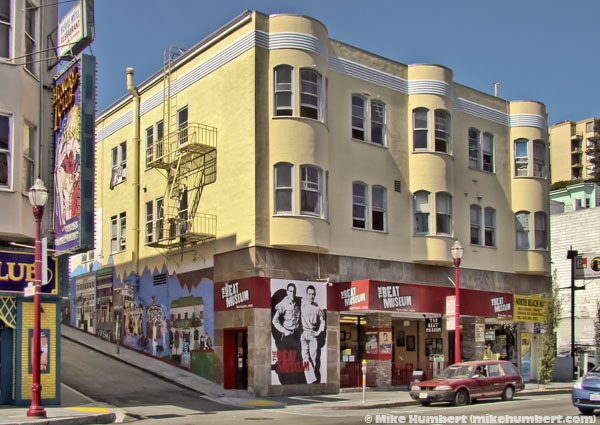 In the 1960s, Barbara Streisand, Bill Cosby, and Lenny Bruce performed at the hungry i nightclub (not to be confused with the current-day strip joint using the same name). And the female impersonators at Finnoccio’s were world famous. 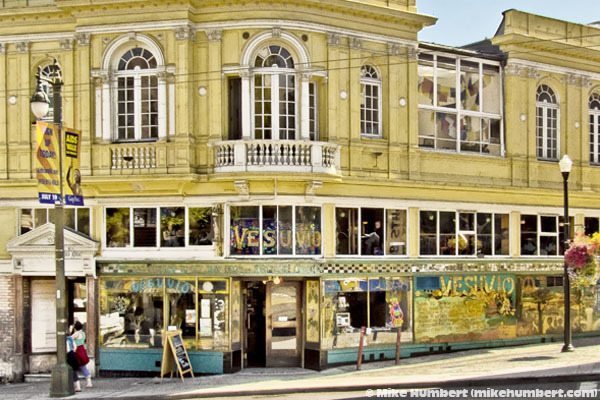 Finoccio’s is long gone, as is El Matador, another well-known North Beach watering hole. 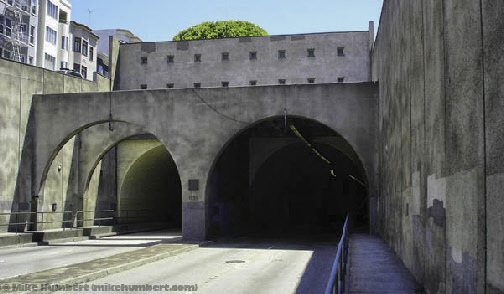 Officially known as Robert C. Levy Tunnel (although nobody actually calls it that), it has connected Russian Hill to North Beach/Chinatown since 1952. The western portal is just east of the Hyde Street overpass. 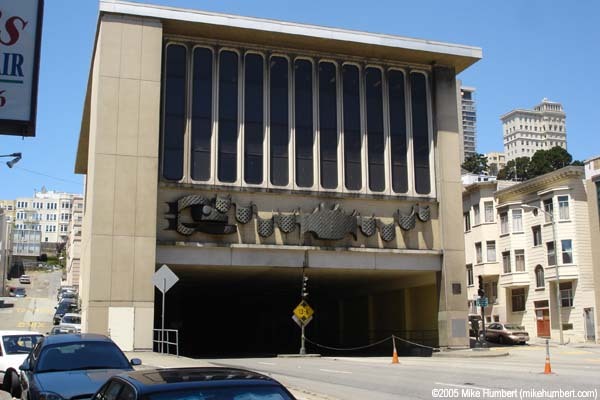 The eastern portal is halfway between Mason and Powell Streets, emerging from underneath the Chinatown Public Health Center building. 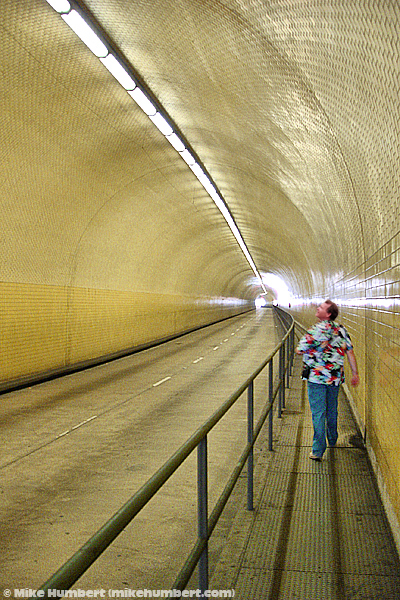 In between is six blocks or so of yellow tile work. 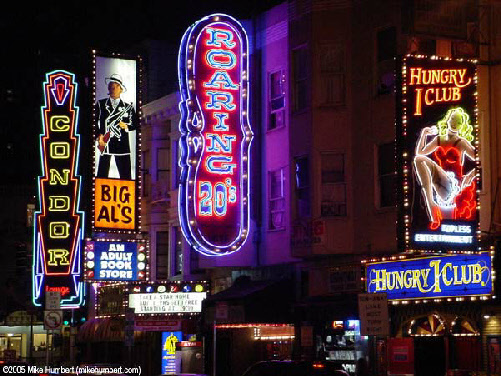 This row of strip joints has been seen in countless movies and TV shows. 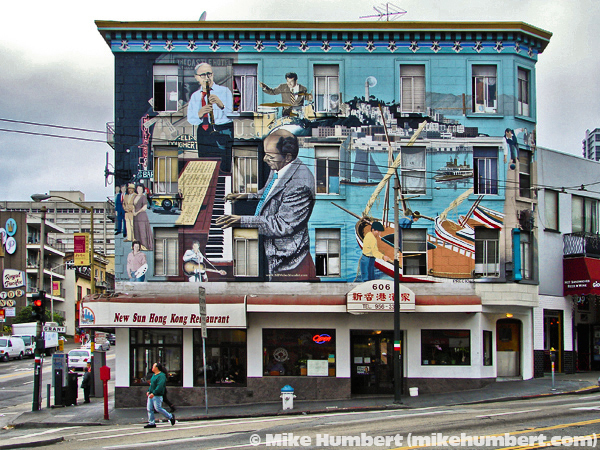 Muralist Bill Weber’s 1987 tribute to Benny Goodman, Gene Krupa and many others. 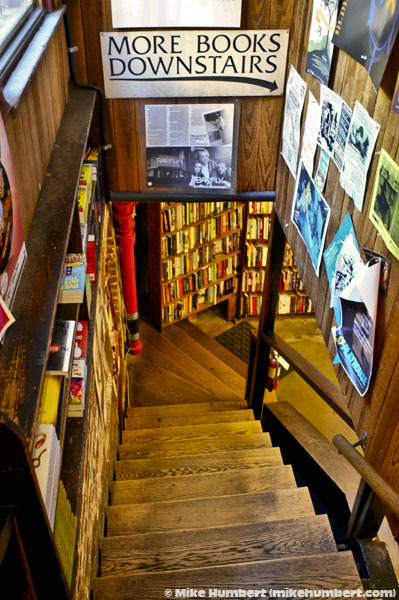 A great place to learn about the architects of the Beat Generation, although a little skimpy on actual physical exhibits. 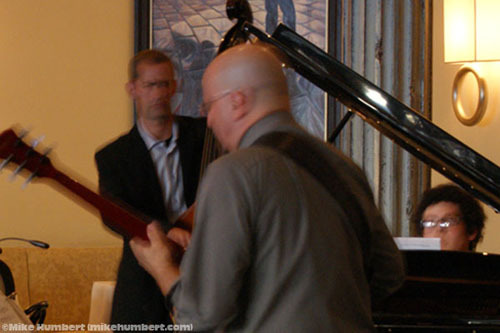 Probably will be enjoyed most by people who already have an interest in the Beats. 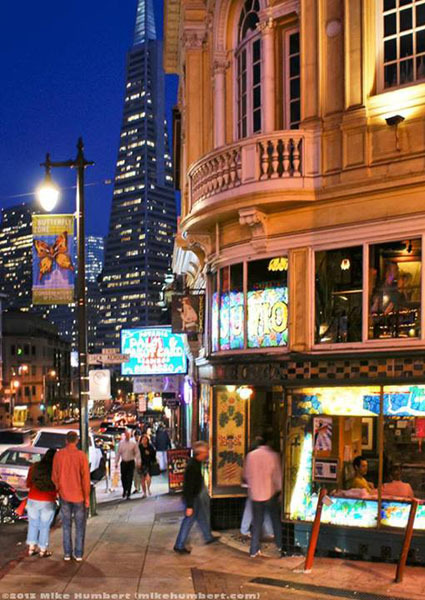 A hipster hangout since the days the original Beats, just across Jack Kerouac Alley from City Lights Bookstore. 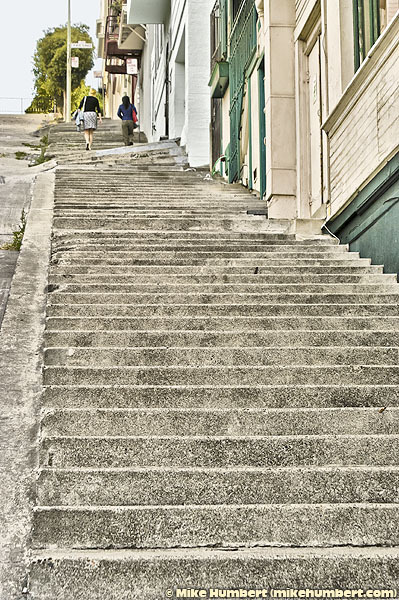 Welcome to San Francisco, where the hills are so steep, the sidewalks double as staircases! 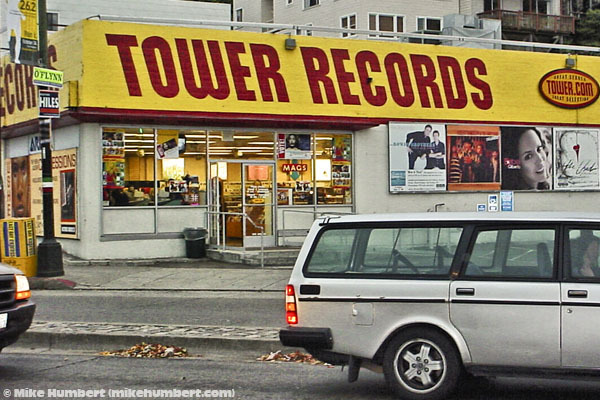 Anyone else really miss this place? 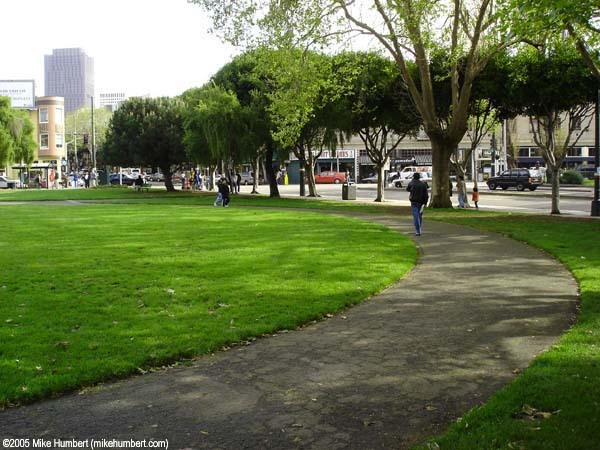 It’s still there, but no longer looks like this. 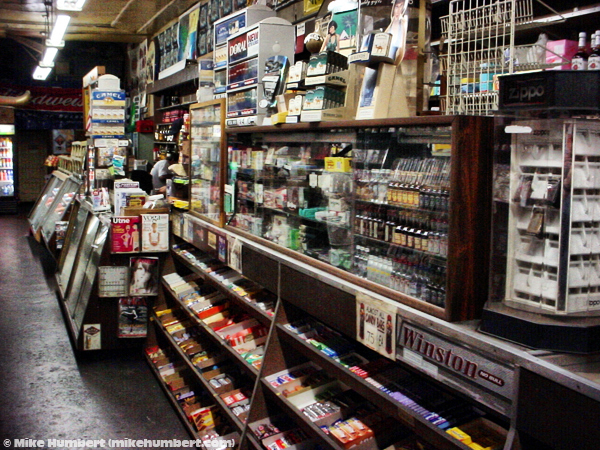 After a major remodeling, it might as well be a 7-eleven. 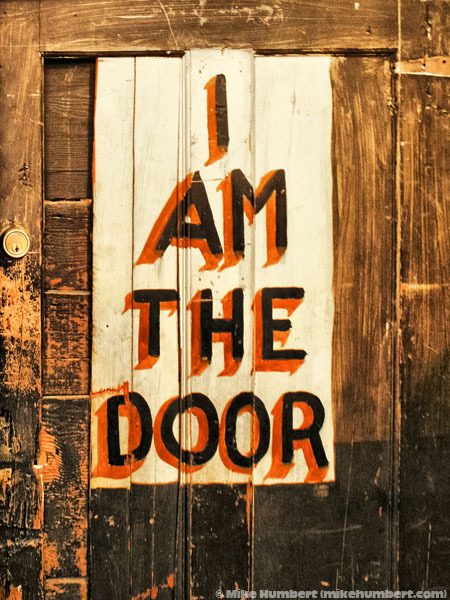 A dirty rotten shame – this place used to have character! 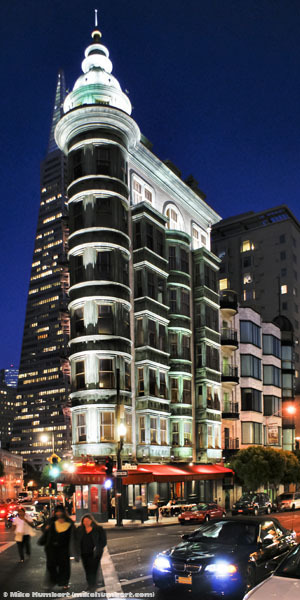 Also known as the Sentinal Building, this Art Deco beauty is owned by director Francis Ford Copola. 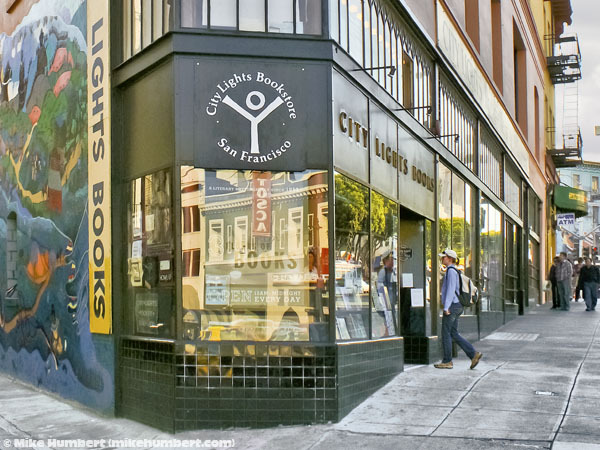 The legendary counterculture bookstore, founded by Beat poet Lawrence Ferlinghetti. 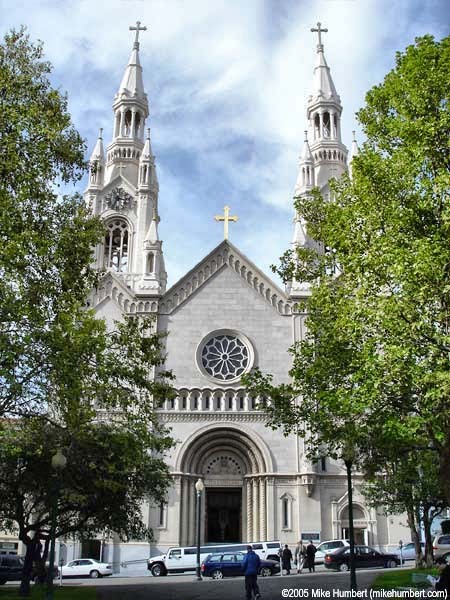 In the shadow of Saints Peter & Paul Church, Washington Square is five-sided (and therefore not “square”) due to Columbus Avenue cutting across the southwest corner. 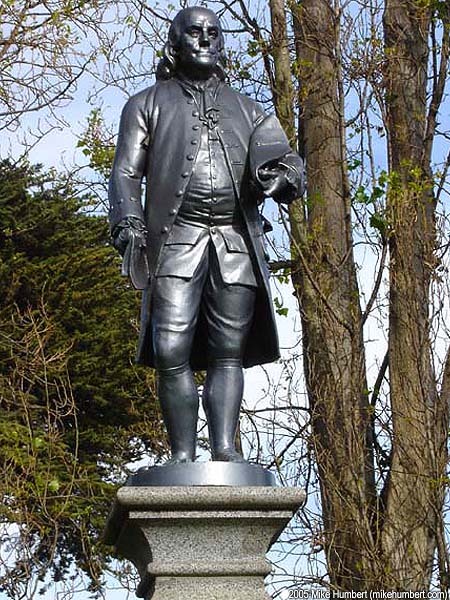 And, needless to say, any park called Washington Square has to have a statue of... Ben Franklin! 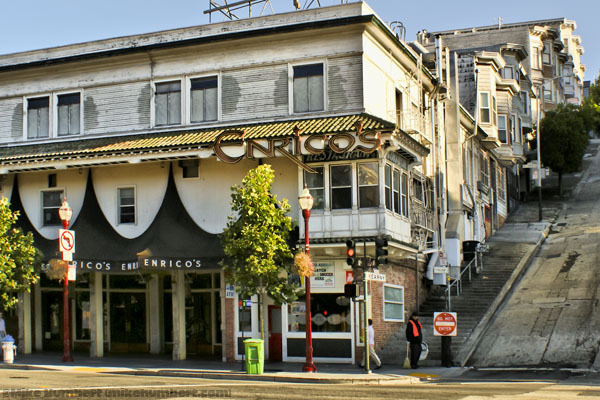 Enrico’s is a North Beach institution, but still manages to go out of business every few years, then reopen a few years later. Last time I checked, it’s closed again.